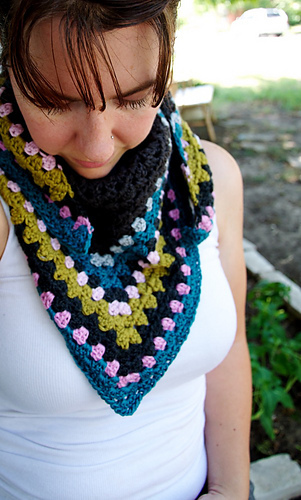 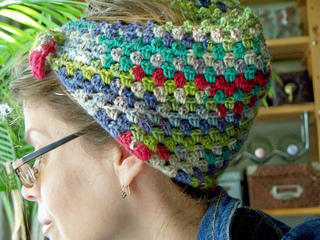 This is an easy, half a granny shape that will form a triangular shawl. 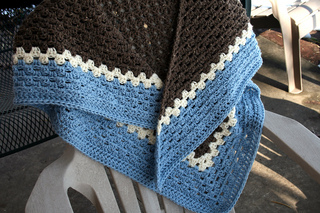 It is started at the top, and you can use any yarn, with any hook, and in any gauge, and make the shawl to any size. 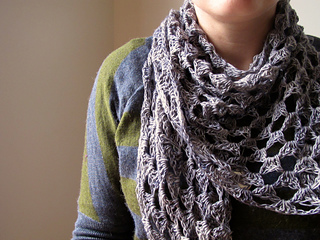 As such, it’s great for both stash busting and for charity! 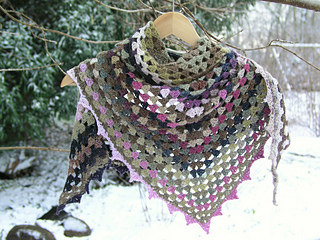 This shawl was formerly known as the Alpaca shawl.